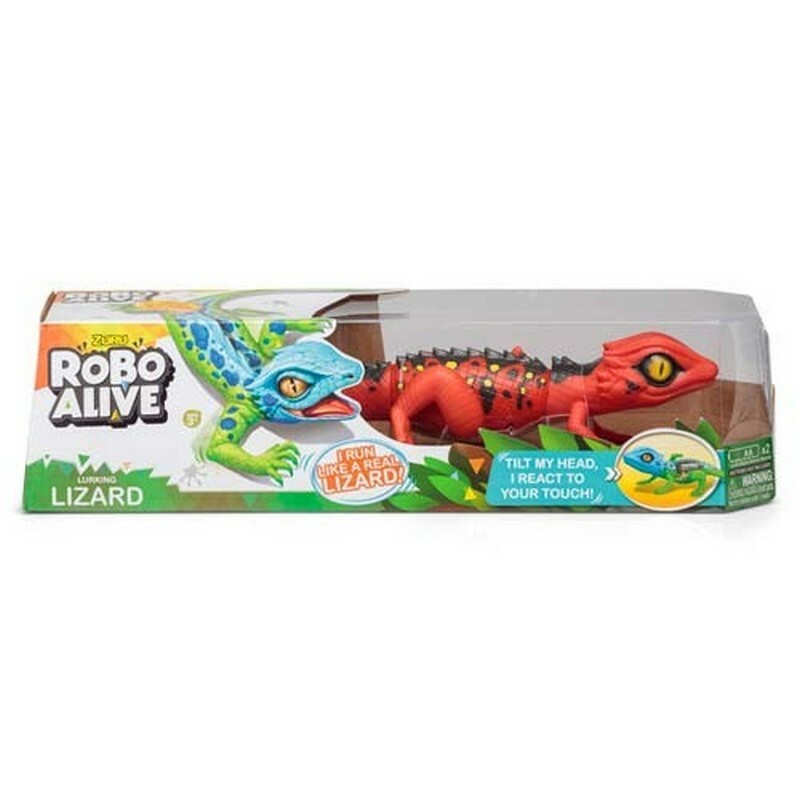 Robotic lizard toy that runs across the floor. Flick the switch on this lizard and its hind legs will spring to life, sprinting forward at a rapid pace just like a real reptile. 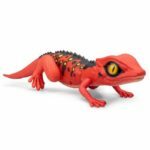 Catch up to the lizard and tilt its head upwards to pause the action, allowing you to pick it up by its lifelike rubber tail. Its body features a red and black design. Requires 2 x AA batteries. 35cm long.